﻿With a Bachelor-In-Arts Degree in Radio, Television & Film from California-State University, Northridge, between acting jobs, Edwin is also a producer. He has executive produced his first feature film, "Soap Girl" in 2002. It won the Audience Award for Best Feature Film (Asian American Category) at Big Bear Lake International Film Festival. Four years later, he produced his third feature film, "Mad Cowgirl" in 2006. It won two awards including Best Feature Film at the Silver Lake Film Festival. He has also produced short films, Behind-The-Scenes DVD featurettes, web content in the last ten years. 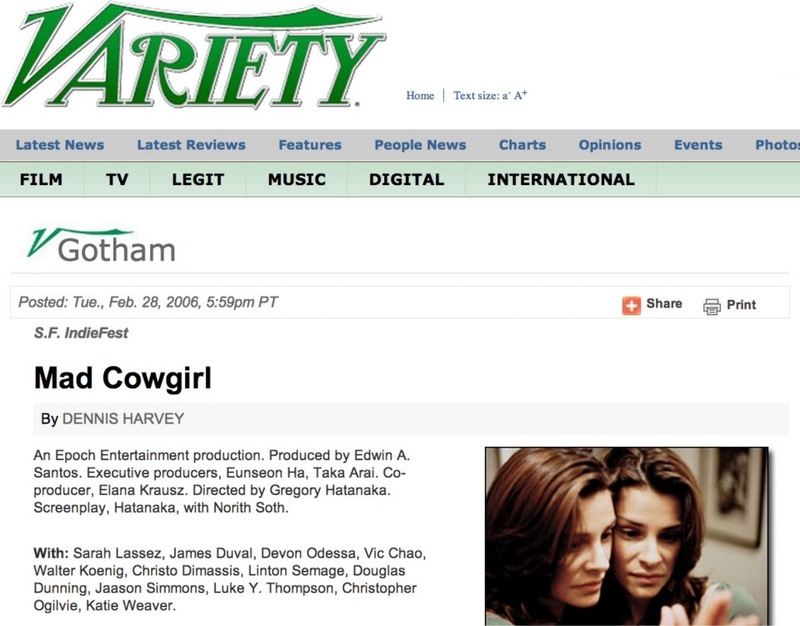 In 2006, Edwin was the sole producer for Mad Cowgirl during production. Directed by Gregory Hatanaka and starring Sarah Lassez (Nowhere), James Duval (Donnie Darko, Independence Day, Gone In 60 Seconds), Devon Odessa (My So-Called Life) and Walter Koenig (Star Trek, Babylon 5), the film won two awards at the Silver Lake Film Festival including Best Performance Award to Sarah Lassez and Best Experimental Film. It screened theatrically in the U.S. and abroad as well as DVD and VOD thru Cinema Epoch.